Paul Weller Unsure If Noel Gallagher Will Appear On His New Album! – Paul Weller News! Paul Weller Unsure If Noel Gallagher Will Appear On His New Album! 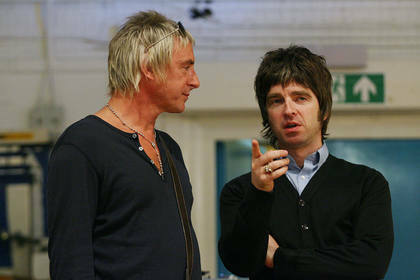 1 Comment on Paul Weller Unsure If Noel Gallagher Will Appear On His New Album! Paul Weller has revealed he doesn’t yet know whether his good friend Noel Gallagher will feature on his new album after the former Oasis leader joined him in the studio for an informal jam recently. Paul Weller’s UK tour is due to begin in Brighton on November 23rd following a series of dates in Dublin. Previous Entry Paul Weller At The Tivoli In Brisbane, Australia (October 19, 2010) Pics, Vids, Review! Next Entry Paul Weller Interview With FasterLouder, Australia’s Leading Alternative Music Site!